Official description: This is our Brut IPA, a new take on IPA brewed for a bone dry champagne-style finish. Late hop additions give the beer balanced bitterness and a bright pop of citrus flavor. It’s as intriguing as it is drinkable. Malts: Pilsner. Bittering Hops: Experimental. Finishing Hops: Comet, Crystal. 6.2% ABV, 25 IBUs. Hopping on the Brut IPA train is my beloved Sierra Nevada with a late 2018 release of the simply named “Brut IPA” with the tagline, “Extra Dry IPA.” But it wasn’t really until 2019 that this beer began popping up on store shelves in 12oz bottle format. Strangely, the front label says in smaller font that this is a Spring Seasonal. So, I expect this beer to continue being available for several more months. My bottle has an easy-to-read bottling date of 12/13/18 found on the very top of the reverse label. That puts it easily within SN’s freshness window. Into the glass, SN’s Brut IPA is crystal clear pale straw in color with ample, bright white foam that sticks around for a couple of minutes before collapsing. The nose is extremely muted for an IPA, so I tried a couple of other bottles and even changed out glassware several times to accentuate the aroma. Thinking maybe it was just me, I sampled this beer and took notes on it on three different days. My favorite glass for this beer ending up being an oversized Cabernet wine glass, which still only gifted me a subtle nose of lemon pound cake. That nose doesn’t change too much as the beer warms segueing to mostly biscuit and nothing else. It’s a disappointing aroma for sure that doesn’t seem hoppy enough to warrant the “IPA” namesake. But let’s try it try first before passing judgment. Digging in, my immediate reaction is how light-bodied this beer is. 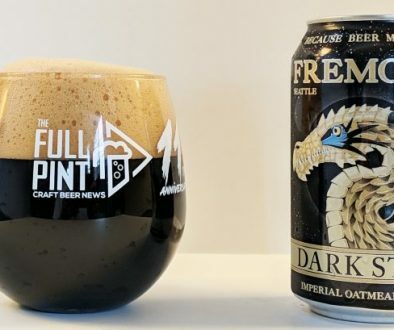 It’s much lighter-bodied than even your typical macro pale lager, which can have some pretty intense maltiness and is famous for white sugar and grainy flavors. SN’s Brut IPA has almost no maltiness to speak of and with it no sugar or body at all sitting at an easy 0/10 on that front. That creates a “dry” but also fairly thin and watery mouthfeel that isn’t very inspiring. There are touches of lemon peel in the flavor for a tiny dash of substance. But that’s about it. Overall bitterness is at a 2/10, putting it closer in line with a blonde ale or maybe even a saison. Even though the bottle states 6.2%, it feels like a 2% beer. Acid is at maybe a 1/10, so any wine comparison is out of the question. Carbonation doesn’t seem dialed up either, so sparkling wine doesn’t come to mind. I will give it this, SN Brut IPA is extremely drinkable and definitely refreshing. My main criticism is that there is little substance here. Hoppiness in the aroma and flavor is difficult to pick out as it manifests as fleeting lemon peel. The body is ultra light – even lighter than your typical macro pale lager. In many ways, I see SN Brut IPA as serving as an excellent mainstream replacement for your go-to lawnmower beer or cooler stuffer for tailgating. That’s not meant as an insult, though. I mean that as a business opportunity. 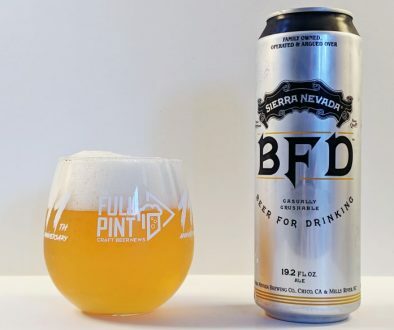 In almost every way, Sierra Nevada’s Brut IPA comes across as the craft beer equivalent of Michelob ULTRA. 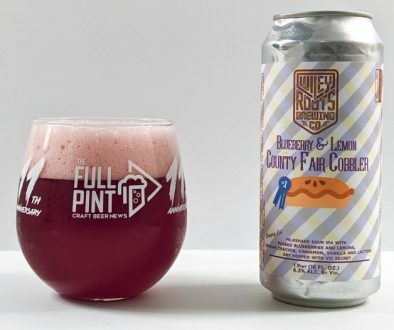 With the right marketing and maybe a name change, this beer could become more mainstream and compete in a segment that craft beer has barely touched: ultra light beer for casual day drinking. My experience today is pretty much the opposite of what I found with New Belgium’s Brut IPA, which is perhaps the only other mainstream Brut IPA available today on store shelves. (Stone’s Brut IPA version was barely different than their regular Enjoy By IPA.) New Belgium’s version exceeded my every expectation and even made my Top 10 Beers of 2018. Sierra Nevada, on the other hand, is my perennial pick for the best brewery in the world. I adore practically everything they make, especially their IPAs. I obviously had high hopes for their interpretation of this up and coming Brut IPA style. With SN’s massive international footprint, they are pretty much the ambassadors for presenting Brut IPA to the world. The only problem is, this doesn’t capture the magic of Brut IPA. It is a fabulously quenching, ultra-light blonde ale; but it is fundamentally missing exciting aroma hops and lacks any noticeable bitterness. I’m disappointed, but I think consumers will find this beer to be easily enjoyable, simple, and most of all incredibly refreshing. I am a big fan of the Brut style IPA’s. SN’s offering is nice but nothing close to what my local brewery is producing (Columbia Craft Brewery, Columbia, SC). That being said, I like it and will continue to drink it. It’s very light in taste, great summer beer. Very champagne’ish and even has a hint of grape in the finish. For me it needs more hoppy flavor but I love the dryness. It’s a beer that non beer drinker will even like. Nice review! I liked the way you described and compared the beer. What about the alcohol feeling? For a Brut, it should be more sparking and alcoholic mounth feeling, right? Thanks for the comment! In the review, I said it tasted more like a 2% beer, so it is very light-bodied by any IPA standards drinking more like a Session IPA. I’m still getting acquainted with Brut IPA as a style (as are most breweries) and the jury is out on what exactly they should strive to be. High, champagne-like carbonation is definitely a major aspect that this one sort of captures. It has big foam at first that dwindles away rapidly like a glass of champagne. But I was hoping it would be more bubbly in mouthfeel. Overall, I think it does a good job and most people will find it good but perhaps a bit boring.